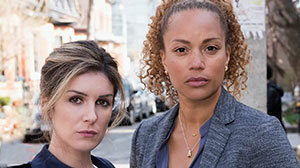 Angela Griffin and Shenae Grimes-Beech team up to star in Canadian detective drama The Detail. They tell DQ about playing cops and the chance to join a female-led production. The Detail could not be more timely. 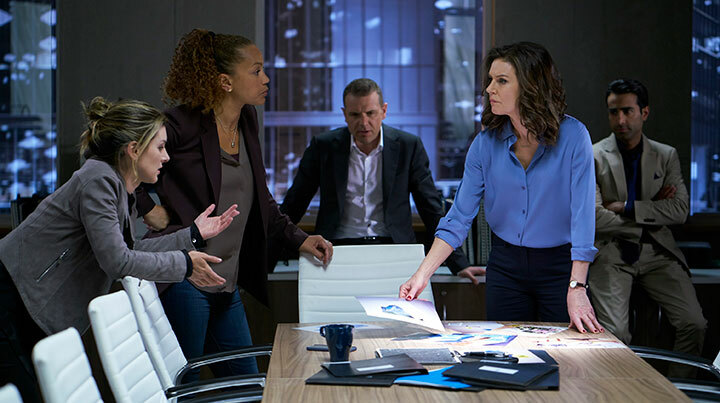 As the fallout from Hollywood’s sexual harassment scandal continues, alongside the #MeToo and Time’s Up campaigns and the row over gender pay inequality, this Canadian crime series stands apart as a female-led production. 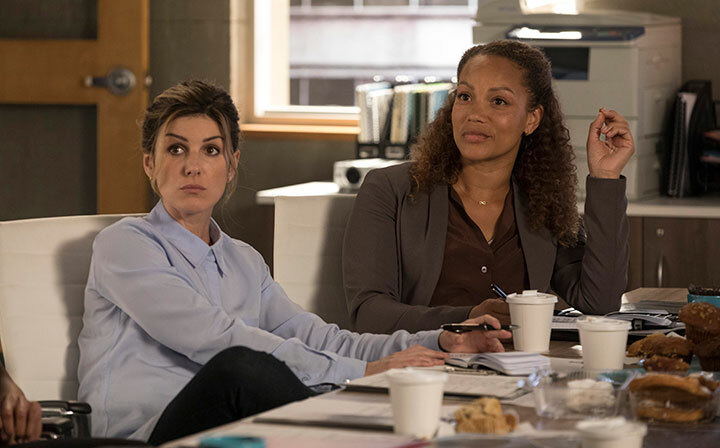 Starring Angela Griffin, Shenae Grimes-Beech and Wendy Crewson, the story details the messy realities of cop life – both on and off the job – for detectives who work tirelessly to solve cases while navigating the complicated demands of their personal lives. 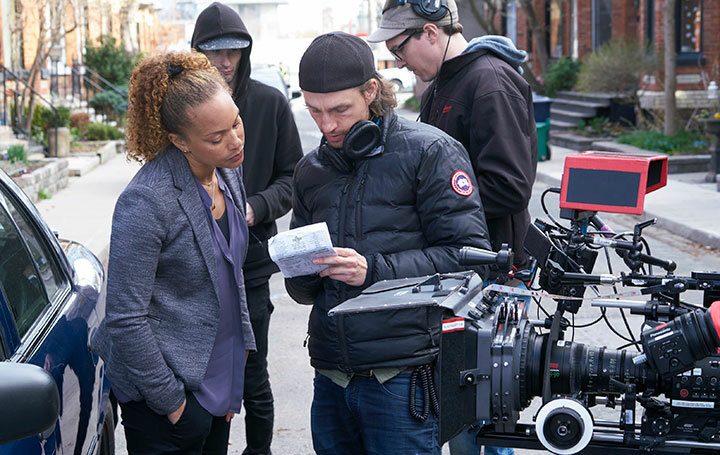 Behind the camera, female writers, directors, producers and consultants drive the series, which is described as depicting topical stories through a distinctly and unapologetically female lens. Key personnel include executive producer and co-showrunner Ley Lukins, who also developed the series; executive producers Ilana Frank, Linda Pope, Sally Wainwright, Nicola Shindler and Jocelyn Hamilton; co-executive producer Sonia Hosko; consulting producer Kathy Avrich Johnson; and writers Naledi Jackson, Sandra Chwialkowska, Katrina Saville and Sarah Goodman. Directors on the series, produced by ICF Films and distributed by Entertainment One, include Jordan Canning and Sara St Onge. Other creative talent includes co-showrunner Adam Pettle and co-executive producer director Gregory Smith, writers Graeme Stewart, Joe Bernice and Matt Doyle, and directors Kelly Makin, Grant Harvey, John Fawcett and James Genn. When DQ sits down with Griffin and Grimes-Beech, it is seven months since filming wrapped on the eight-part series, which launches on Canada’s CTV on March 25 and will air on ION TV in the US. But Griffin explicitly remembers her excitement at the first read-through for the show. “It felt like the start of something really special,” she says. “There was such a good vibe about the whole job, which stayed for the entire job. There was such a good energy about it. It’s exciting being in a room full of women, I’ve got to say. Being sat around a table where I’m not the girlfriend or the wife was super cool. And then you’ve got all these great female directors and producers. Griffin, best known for her long-running role on UK soap Coronation Street, plays Detective Stevie Hall, an experienced interrogator dealing with a thorny family life. Grimes-Beech, meanwhile, is Detective Jacqueline ‘Jack’ Cooper, a street-smart rookie with a personal life that threatens to eclipse her day job. That work-life balance is a key element of the series, which sees procedural crime-of-the-week storylines play out against the backdrop of the detectives’ individual family lives and examines how the cases they face impact their home life. For Griffin, the opportunity was amped up by the chance to have a gun, something British crime dramas notably lack in comparison to their North American counterparts. In contrast, it was a much shorter shoot than usual for Grimes-Beech, who is more used to the year-long effort needed to produce a 22-episode season of a US network drama, such as The CW’s 90210. After five years on that show, and a five-year stint before that on DeGrassi, she’s since mixed things up with a range of feature and TV films. But with the small screen stronger than ever, the actor is happy to return to a potentially long-running series that affords her some security and the chance to pick up other projects on the side. “While there’s no stability for an actor, I feel like a TV show is as close as it gets and I have so much appreciation and gratitude for a job like this that I didn’t have when I was young,” she says. “When you fall in love with a character and a show as much as I have with this one, you wish it will run forever. That’s not often the case. For Griffin, it’s not lost on her that she has had to cross the Atlantic to find a leading role, following in the footsteps of other black British talent such as Damson Idris, Idris Elba and Oscar nominee Daniel Kaluuya. “There’s some great stuff being made [in North America] and a lot of our British, particularly black British, talent is scoring really well out there,” she says, adding that there’s a simple way to ensure more black and ethnic minority talent can pick up leading roles. “Just see people for the parts,” the actor concludes. “It doesn’t have to have the word ‘black’ before it to have someone audition for it. You just open up your casting for everybody and you let everybody come.